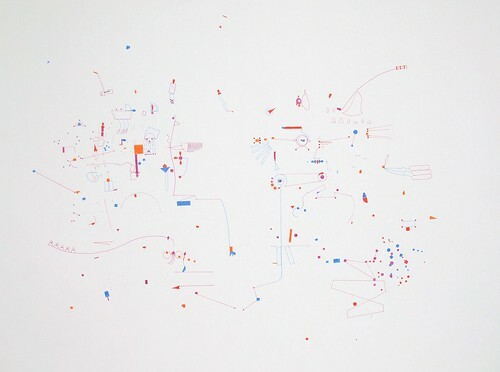 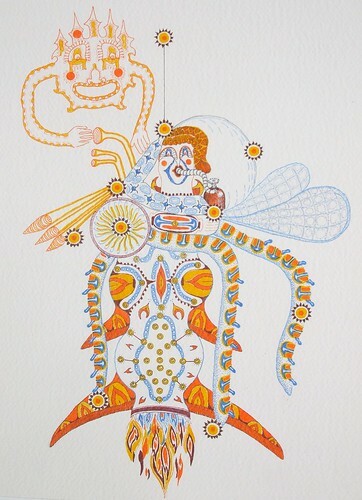 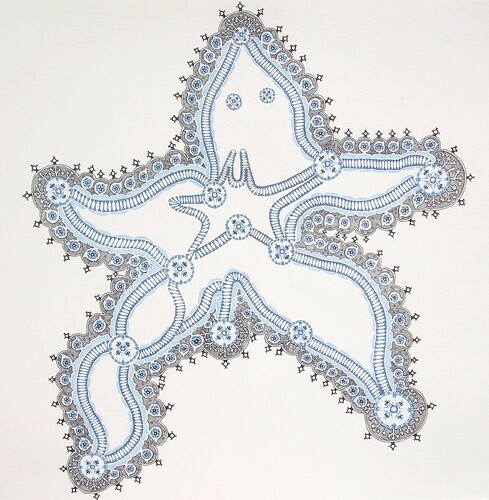 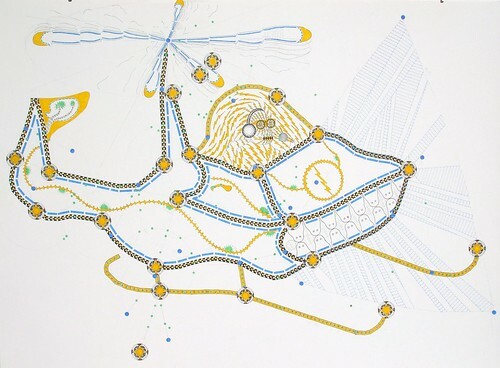 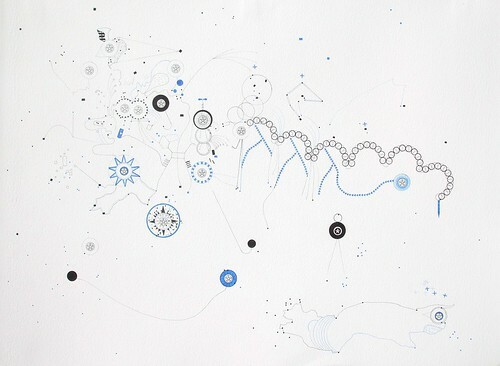 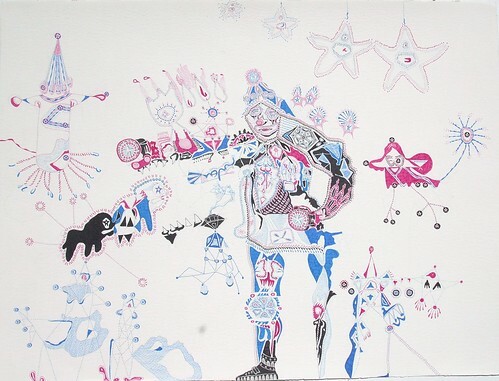 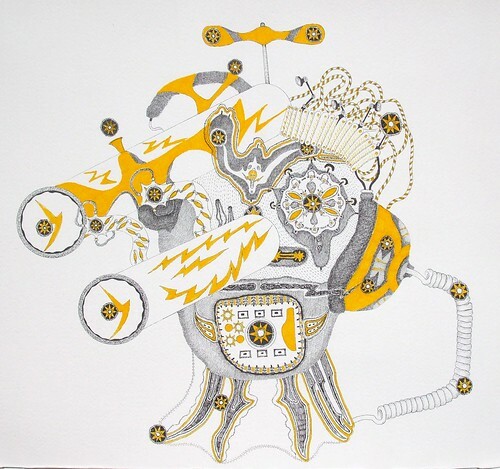 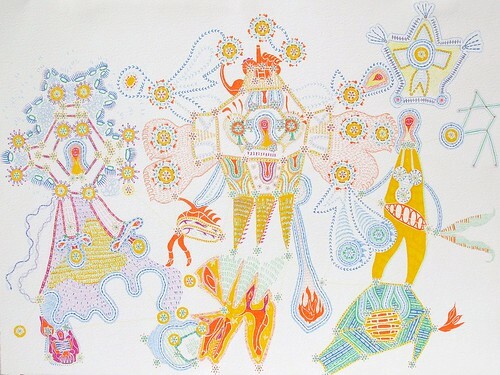 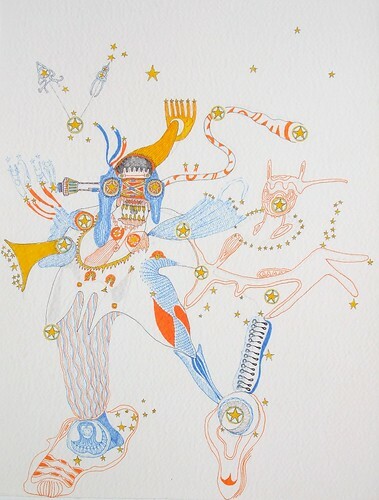 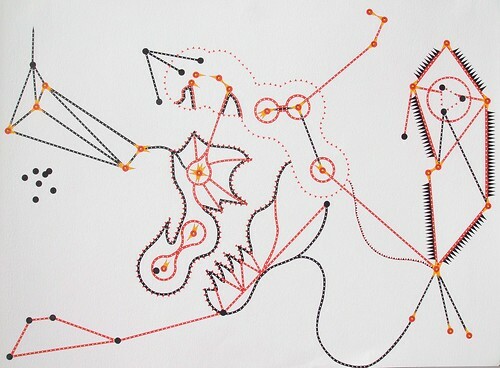 These drawings are part of a series of invented constellations. 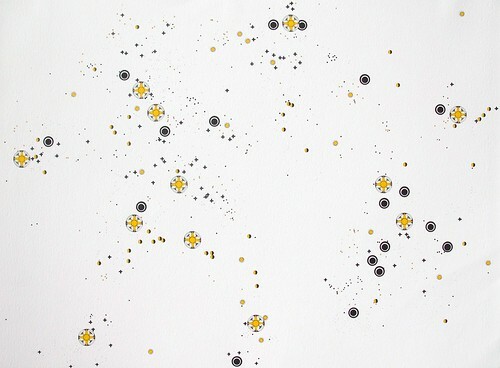 Each piece within this series was initiated by intuitively drawing a grouping of “stars” upon the page without direct reference to the actual placement or proximity of actual stars as they are seen in the Earth’s night sky. 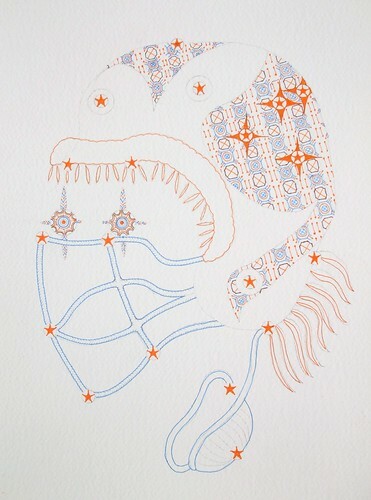 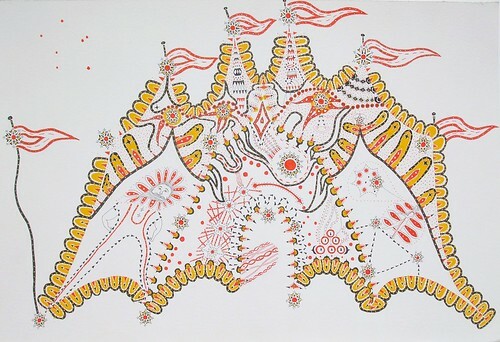 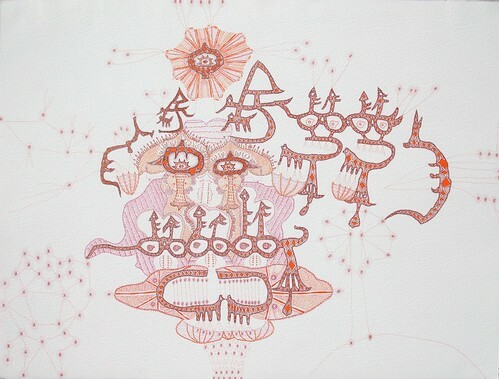 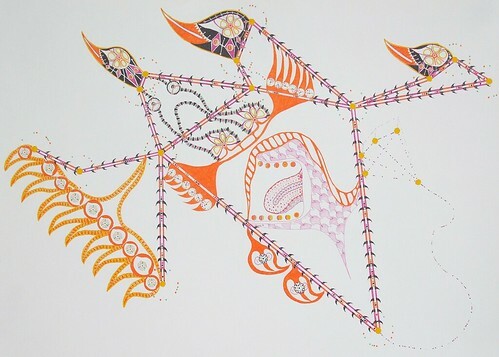 Once the stars were positioned, I connected the dots with pencil lines until I began to perceive an image. 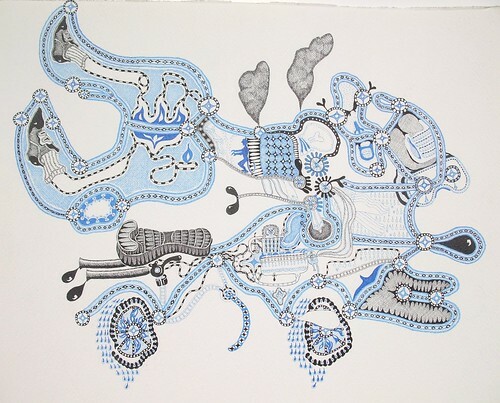 The picture was then inked in with greater specificity and detail. 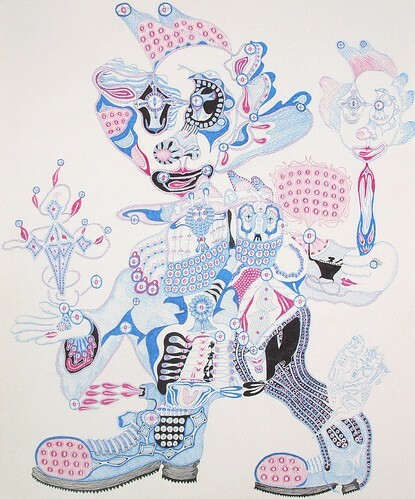 Throughout the series, it became increasingly important to have this authentic “epiphany” of the image, as opposed to starting the drawing with a pre-determined subject.